This year marks the 200th anniversary of Mexico´s independence (no, it´s not celebrated on 5 de mayo!) and we’re already preparing for it. Living in the U.S. it´s nearly impossible not to be influenced by one of the myriad elements that make up the rich and diverse Mexican culture. It imbues or food, our TV screens, our slang and our music. Mexican music has influenced genres across the board and still continues to be predominant on the scene. But few musicians have immersed themselves into the true, deep roots of Mexican music and converted it into a learning tool, masked as a true fiesta, for bilingual children. 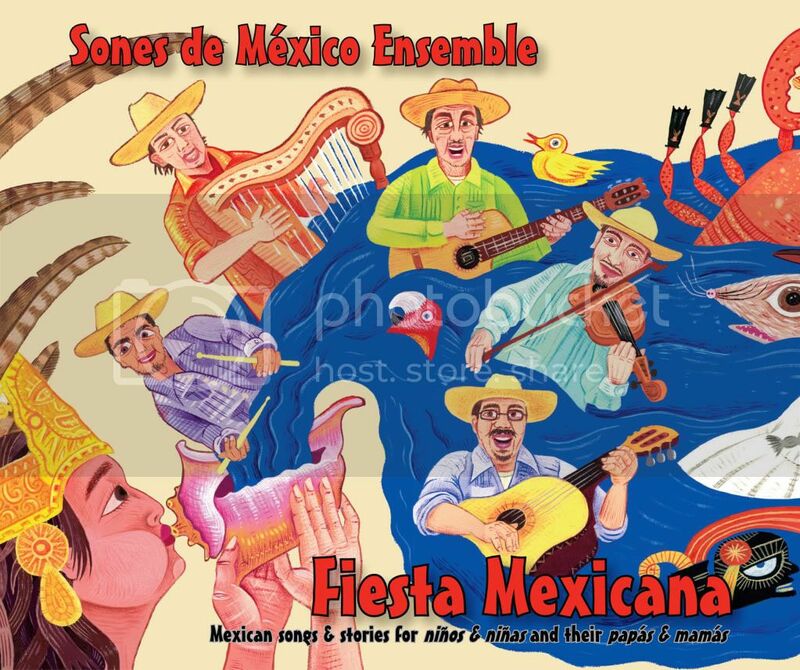 Sones de México Ensemble has done just that with their newest CD created for children growing up bilingually (English/Spanish) and biculturally: Fiesta Mexicana. The band has been performing educational shows in Chicago schools for over 15 years and has recreated that experience in a double album chock-full of songs in Spanish and English that transport you to tierras mexicanas that were resonating way before their 200 years of modern history. This is music from the country’s soul, and this soul touches our children with indigenous sounds, instruments, stories and languages. If your heritage is Mexican, this recording will bring the beat of your roots straight to your kid’s heart. But Fiesta Mexicana does not only address Mexican-American kids, says producer and bassist Juan Díes. “It’s for everyone who lives in this bilingual and bicultural environment.” The lessons are universal, not just about Mexican culture; he adds, “kids learn about tempo in music, about loving animals, and about the importance of balance in the world and in one’s self.” “We are educators at heart,” says music director Víctor Pichardo, who was brought to Chicago 17 years ago by an arts education organization and conceived Fiesta Mexicana to teach children about Mexican heritage through story and song. I am not Mexican, but I have grown to love the culture I married into. This is one CD that I plan on keeping in my arsenal to introduce my girl to the authentic folklore, music and cosmology of part of her identity. Plus, their cover of “El Ratón Vaquero,” the Cri-Cri classic I grew up with, has me tapping my feet and polka-ing every time we hear it! Fiesta Mexicana by Sones de México Ensemble just released this week. You can already get your copy via La Tiendita. ¡Que Viva la Fiesta! This giveaway is now closed. The winners are: Benita, Angela Weinsburg and mrsenorhill. We’re giving away one copy of this newly released Fiesta Mexicana bilingual CD to three winners. All you have to do is listen to the samples of the songs here and tell us which one you like. This giveaway ends Sunday, April 25 at midnight EST and you must have a valid US address to enter. What a great collection! I like Ratón Vaquero. .-= Silvia´s last blog ..Sorteo de Pases para el Pre-Estreno de "Letters to Juliet" / "Letters to Juliet" Prescreening Passes Giveaway =-. .-= Adriana´s last blog ..What my child is reading… =-. I love Quiereme Mucho. A song my dad loves to sing to my mom. So sweet. I follow and subscribe…me gustaria esta musica para mis ninas. Gracias! .-= Karen´s last blog ..Zydeco Music Review with a taste of New Orleans =-. i loved la bamba (el son jarocho). brings back childhood memories. Me *encante* El Raton Vaquero! Vivo en Chicago asi que siento un orgullo especial del grupo! Hace algunos meses vinieron a tocar para los ninos en nuestra escuela y fueron tremendos! unfortunately I did not get the beginning of the song when they were all making a train to hold onto each other in order to walk (pretending to be viejitos) and then breaking out to dance, which made everyone including my son laugh and clap because it really was funny. It would be very nice to have this cd to help expose my son to traditions from other areas of Mexico that we might not actually visit while he is young, as well as the other kids in the family who can’t go at all. What a fun way to teach more traditional Mexican folk dances to children. I like Torito Coiteco and many of them. Thanks! 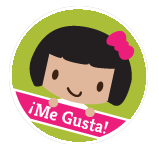 .-= Silvia´s last blog ..Sorteos en la Blogosfera / Giveaways in the Blogosphere =-. Hard to choose but I’m going to go with Torito Coiteco as my fave. I like Torito Coiteco, thanks! Que padre! I love that in Ella Jenkin’s narrative, she has the children repeat after her. It’s a neat mix of instruction, exposure, history and culture and quality music with traditional lyrics.